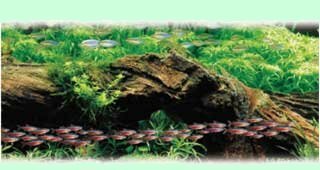 The aquatic hobby has grown steadily as everyone is looking to bring the beauty of nature into their homes. 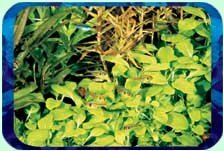 Vast choices of aquariums, cabinets and support equipment exist and provide aquarists with many options. A beautifully presented display aquarium affords a glimpse into the fascinating underwater world, providing a captivating centerpiece for any home, office or professional environment. A variety of options exist when developing, setting up and maintaining a living biosphere. Many choices sometimes result in a difficult decision making process. This guide provides helpful guidelines and information that will contribute to an easy, enjoyable experience. Aquariums have many positive attributes that extend well beyond being decorative. Research has indicated a link between watching an aquarium and the reduction of stress. Finding the chance to relax in today�s fast paced world has become difficult, at best. The aquarium provides a living display, which allows observers in a variety of environments, such as dental, legal, and medical offices, as well as restaurants, hotel lobbies and homes to relax and compose their thoughts. Fishkeeping can provide experiences and events that stimulate the learning process. Having fish that spawn and the resulting rituals and activities that are demonstrated provide hours of entertainment and fascination. Children and adults can gain a sense of responsibility and accomplishment from establishing and maintaining an aquarium. The dynamic underwater world will present changing situations where fish, plants, corals and invertebrates grow, mature and reproduce, providing a living demonstration of various life processes. Many excellent sources of information concerning all aspects of the aquatic hobby exist and continue to be developed. It is recommended to consult various books and seek advice from reputable professional pet dealers when deciding on and setting up an aquarium. Purchasing an atlas, as well as a complete manual, will ensure awareness of specific requirements and characteristics amongst different groups of fish and an optimal set-up to house them.